We require full non-refundable prepayment. The total price of the booking will be charged on the credit card used to make the booking after the reservation has been proceeded. *In case of invalid credit card details, lack of funds on the card, etc. hostel has the right to cancel the booking. *In case of non-show, cancellation or modification of the booking the total price will be charged. Team hostel is the only hostel conveniently situated near the airport. If you are looking for accommodation in the airport area- we are the best choice. If you want to make some sightseeing you couldn`t choose the better place to start - there is great connection with all main attractions of the capital- trams and Warsaw's railways, which already can be regarded as ground subway. Hostel is located at an important communication node. That's why is so easy to get to us. Our hostel is not only cheap accommodation . 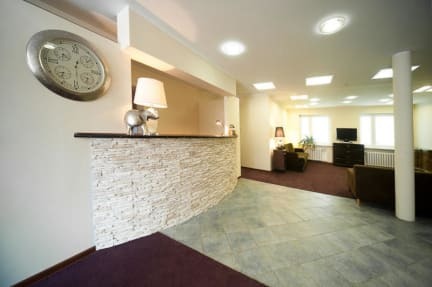 We ensure that our hostel provides a welcoming, friendly atmosphere. - conference room for educational meetings or entertainment. 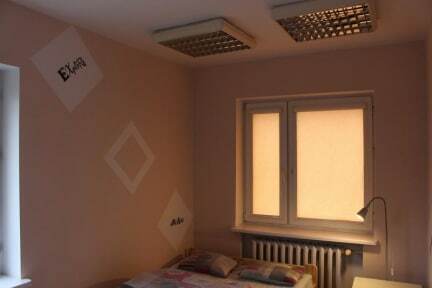 In our hostel We have 94 beds in the new 2, 4, 6 bedded rooms. For groups check our attractive discounts. Our staff is Warsaw- born and we will make sure you feel the soul of our city and fall in love with it. Information is something we can always provide according to your own wishes and desires.